Me and my little 1995 Honda Odyssey went around the South Island for a month and a half. We saw glaciers, fjords, blue penguins, baby seals, lots of sheep, and fat cats. I haven't traveled solo for sometime before New Zealand, so living out of the van by myself brought a real sense of freedom. It was a nice feeling to be able to go anywhere anytime and have everything you needed with you at all times. The overcast day made the colors pop out so much more. Driving on the leftside and eating leftovers. I first came to Tonsai in 2013 on my first solo backpacking trip. It was then when I met Tony and Damien for the first time. Who would have known that three years later the three of us would roam Laos and Thailand together? 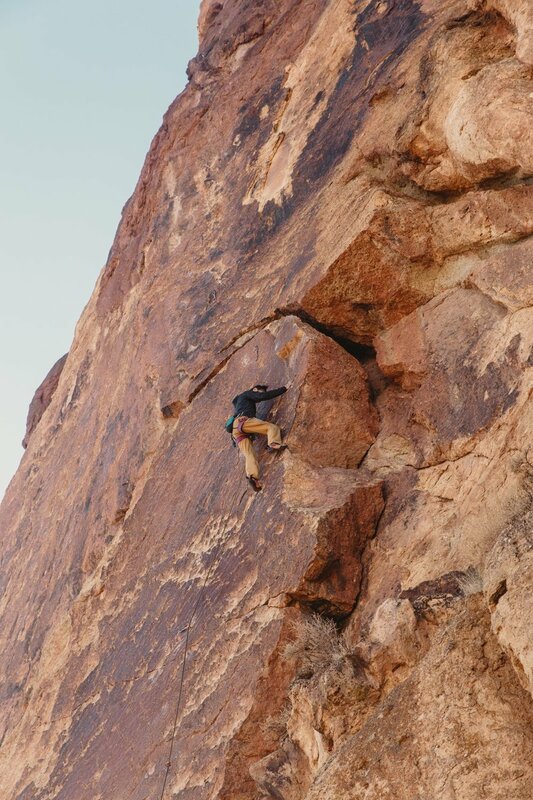 The brutal heat and vicious mosquitoes made less than ideal climbing conditions but it's hard to deny the beauty, tranquility, and the special vibe here that brings people together. Nam Pha Pa Yai is such a gem of a climbing camp! It is just north of Bangkok and is accessible by car or train. Being so close to the city, it is surprisingly quiet and intimate. There is no wifi and very little cell reception. The rock is solid and the routes are long and varied. With home cooked dinners and less than 10 people a night, it is a beautiful place to lay low and just climb. Did I mention you zipline to the wall? Also that you can stay in a tree house if you book early enough? I loved it and would love to return when the weather is cooler. My little bluey had a bath on rest day. The weather was so dry that it dried in an hour or so! So...after Thakhek, we had the full intention of climbing strong and pushing hard but what reeeeaaally happened in Chiang Mai was...FOOD! Anxiety State Crisis Cave in Crazy Horse Buttress, coolest place to climb! Beer the Golden Retriever from our hostel (Chokdee) whom liked to go on walks with us. ...and Decathalon. Decathalon also happened. Damien introduced Tony and I to Decathalon, and we went back...a lot. Green Climber's Home in Thakhek has proven to be my favorite climbing spot in Southeast Asia. The camp is a hub for the climbing community and a great place to meet new partners. The lack of wifi makes life simple: eat, climb, talk to someone new, sleep, repeat. The quality and quantity of routes here makes it perfect for climbers of any experience to grow and push personal limits. Post Nepal, I met my college friend Lindy in Bhutan for a week. After a month of high elevation tea houses and hostels, it was a nice change of pace to have a driver, guide, and three-star hotels. In Bhutan, the men are handsome and the women are beautiful; the air is clear, the temples are mysterious, and the holy water strong. Tiger's Nest, the most auspicious temple in Bhutan, is perched on a cliff 900 meters off the ground. Tashi our knowledgeable guide who is also an amazing dancer! Dzongs are former fortresses that serve as religious and administrative centers. They are architectural masterpieces covered with intricate design details. Hey, hello! This is me, Yezi, having a birthday doughnut on my 30th birthday. This photo was taken after sailing on the Navimag Ferry through the uninhabited Patagonian fjords. I always loved traveling and dreamed of taking a long term trip for six months to a year. In late 2016, I left my job in animation and went to Asia. This blog documents my travels and my doodles along the way.